Fushun Special Steel, once seen as the jewel in the crown of troubled Dongbei Special Steel, risks following in the footsteps of its parent into bankruptcy reorganization. The company, whose shares were suspended in January after it admitted falsifying inventory numbers, announced on April 27 that it couldn't meet its deadline for reporting its 2017 and 2018 first-quarter earnings, raising the odds that the specialty steelmaker will be forced to delist from the Shanghai Stock Exchange. The Fushun, Liaoning province-based producer also reiterated a warning that it faced being placed into bankruptcy reorganization proceedings after Shanghai Dongzhen Metallurgy Engineering Technology Co., which claims it is owed 5 million yuan ($789,000), took it to court for non-payment of the debt. “As the amount of work involved in restating our figures has been relatively large and retrospective adjustments go back over relatively long period of time, the work of verifying the relevant financial figures has not been completed,” the company said in a filing to the Shanghai Stock Exchange. 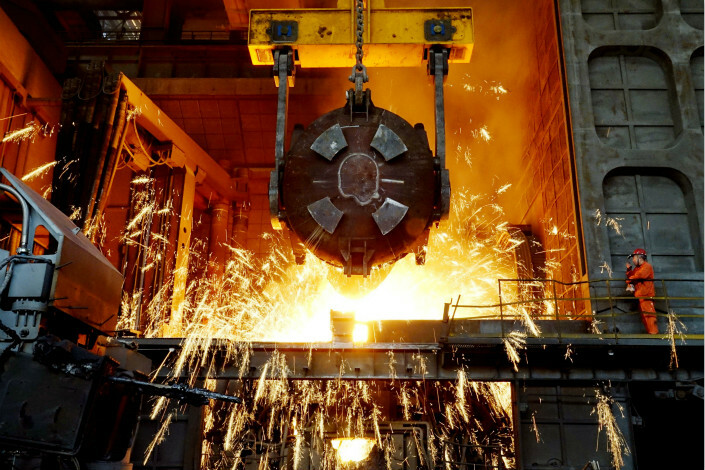 Fushun Special Steel was once seen as the star subsidiary of Dongbei Special Steel, the country's biggest bond defaulter, and was excluded from the bankruptcy and restructuring of the state-owned steel giant in 2017 because it was profitable. Also based in Liaoning, the heart of the country's rustbelt, Dongbei Special Steel was revived after creditors agreed to a restructuring plan that involved Jiangsu Shagang Group Co. Ltd., China’s largest privately-owned steelmaker, investing 4.46 billion yuan to become its largest shareholder with a 43% stake. A person with knowledge of Dongbei Special Steel’s bankruptcy restructuring told Caixin that Fushun's inventory problems were found only after Jiangsu Shagang came in as a strategic investor and conducted its own audit. Previously, Fushun had not allowed lenders to conduct audits of its inventory, citing as a reason its involvement in research and development for the military, a Fushun creditor told Caixin. The Shanghai-listed steelmaker had previously reported a profit of 111 million in 2016, a 43.6% drop from 2015, and a profit of 67.5 million yuan for the first nine months of 2017, a slump of 48.9% from a year earlier. But in its January statement, the company warned that it might post a loss for 2017 and for earlier years once the accounts were restated following an internal investigation. The shares were suspended on Jan. 31 at 5.50 yuan. The China Securities Regulatory Commission announced in March that it was investigating Fushun Special Steel for violations of information disclosure regulations. According to the company's own stock exchange filings, if it fails to release its 2017 annual report by June 30, the shares will resume trading on July 2 but will carry a delisting warning. If the company is unable to release its 2017 annual report before Sept. 1, trading will be halted on Sept. 3 and the Shanghai Stock Exchange will make a decision within 15 days on whether the listing will be temporarily suspended. The company may be permanently delisted it if is unable to provide the annual report within the subsequent two months. Caixin has learned that Fushun is likely to publish its financial reports in the second half of May. 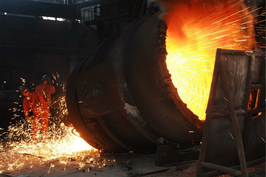 Fushun Special Steel and its creditors are now awaiting the decision of the Fushun Municipal Intermediate People's Court about whether it will accept Shanghai Dongzhen's application for the company to be forced into bankruptcy reorganization proceedings. The court said on April 26 that a restructuring manager would be appointed and selected through a competitive process, a move legal experts told Caixin means the company will likely be pushed into a restructuring. Caixin has learned that the court is still waiting for approval from the China Securities Regulatory Commission and the Supreme People’s Court and that its decision will likely be announced in the second half of May. But creditors and shareholders are keen for Fushun to keep its listing, which they say is one of its biggest assets. Under Dongbei Special Steel’s restructuring plan, one of the ways for strategic investors to exit their investments is for assets to be transferred to the listed company. Maintaining a listing also allows the company to conduct debt restructuring and debt-for-equity swaps –– banks may not approve debt restructuring for a company that is no longer listed, a Fushun Special Steel creditor told Caixin. While entering bankruptcy proceedings will not directly impact Fushun’s listing status, it will likely hurt its profitability which in turn will affect its ability to remain a listed company. The Shanghai Stock Exchange issues a delisting warning for any company that is unprofitable for two consecutive years or has negative net assets in its most recent annual report.